Be responsible. It's not that hard. I’m having one of those really angry and disappointed at humanity days. I try not to have them too often, and generally always look for the good in people, but today has gotten the best of me. 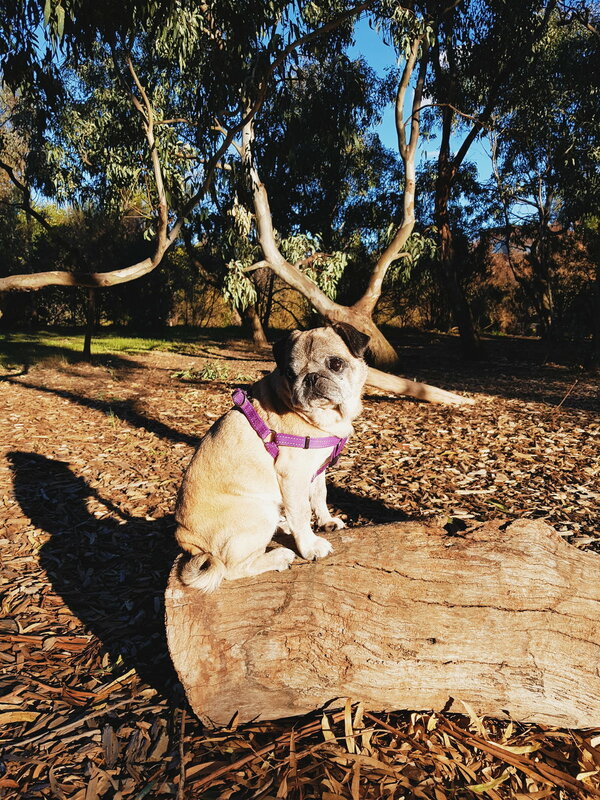 As I write this post my little girl, Lola, a rescue pug, is undergoing yet another operation to try and improve her eyesight. Whilst this is a good thing, and we are praying for a good outcome, I just feel so angry that she has to go through this awfulness. That she has spent her life in pain because she was failed repeatedly by humans. Lola’s vision loss was avoidable. Had she been cared for the way she, and every other animal on the planet deserves to be cared for, this would not of happened. But instead, Lola has been used up as a puppy mill dog until ditched to the kerb because her breeding days we over. She has since been palmed off from person to person – none of whom actually cared enough to notice she was suffering. I get so frustrated when people look at Lola and comment on how cute she is, that they too want a pug, a puppy, a rescue etc. I think to myself – is an animal just a toy to you? A toy until it suddenly has needs and then it becomes a burden, left to fend for itself? Do you have any idea how much care animals need? From basic care such as good food, clean water and affection, to exercising and vet bills? I read a study recently that said the average dog costs about $25K in their lifetime and I think – do you have this money to put towards your dog? Little Lola has cost us almost half this in just nine months – but we were prepared to take on the health costs if it meant helping Lola to have a happier and healthier future. This is a lot of money! Money we certainly didn’t plan on spending, or have for that matter, but the reality is, as responsible dog owners, we were prepared to find the money because she is our responsibility. And we will do whatever it takes to help her (or any animal). Having spent a lot of time with vets these past few months, the collective agreement has been that no person should own a pet if they cannot adequately care for it. Vets have shared horror stories with me, stories that keep me awake at night wondering how people can be so downright thoughtless, careless and detached. Stories that are rarely shared in public because, lets face it, who wants to own up that they’re a terrible pet owner? Many pet owners seem to have this mentality of – out of sight, out of mind. But whilst this type of person is trying to alleviate their own guilt for having harmed an animal (if they are in any way empathic and not a complete sociopath), the animal is quietly suffering and possibly dying. People get sucked in by the cuteness of a baby animal that they see in the window of a pet shop (these pups are almost guaranteed to be from puppy mills), then make unintelligent, rash decisions to have a pet. Then all too quickly they lose interest. 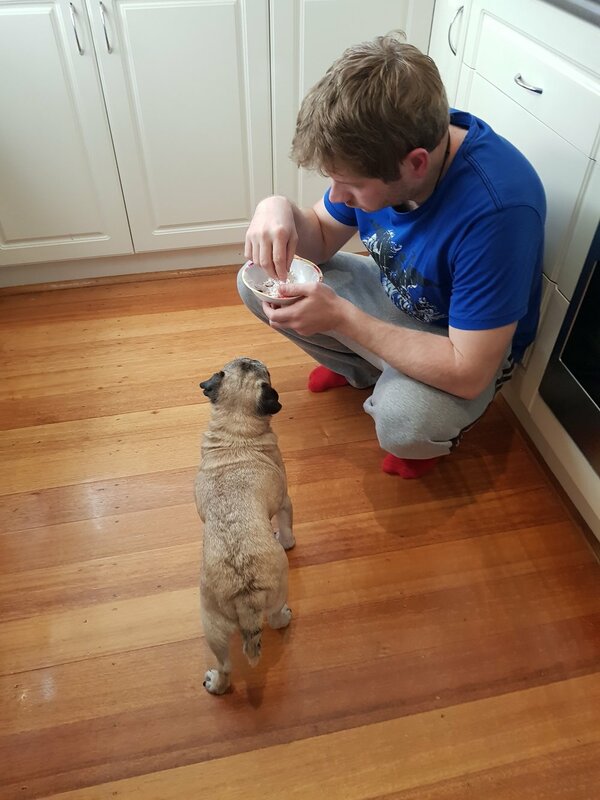 But don’t worry - the human wont suffer with this loss of interest. But the animal sure as hell will. 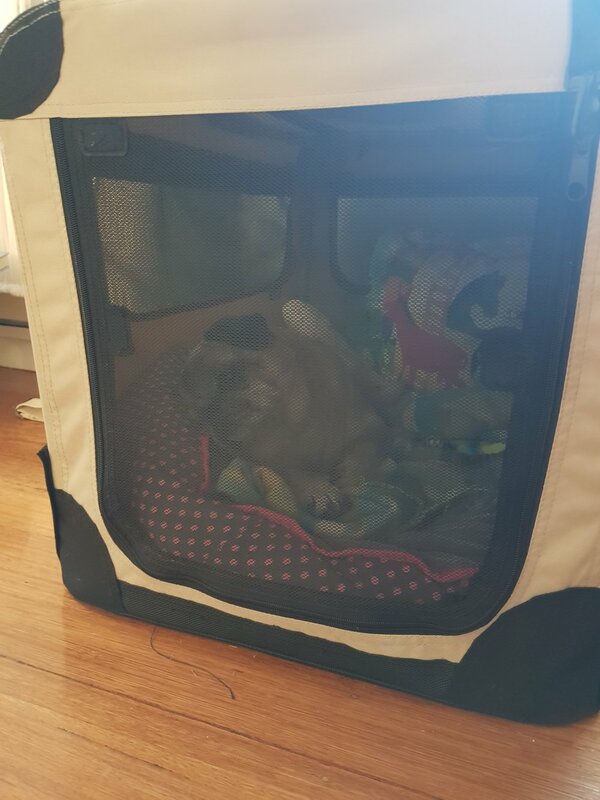 So as I sit here anxiously, hoping Lola is OK as they operate on her fragile, damaged eyes, praying she makes it through (recent liver failure makes this a more precarious operation), I’m hoping that this post will hit home for a few people who care to read it and be honest about their intentions for getting / planning to get a pet. It is too late in Lola’s case, and all we can do now is pick up the pieces. But it is not too late for people to make smarter decisions about where their pets come from (puppy mill? registered breeder aka puppy mills? pet shops aka puppy mill supporters? Rescue organization? ), if that pet is absolutely right for them and their living situation, and if they’re in this for the long haul. Animals should never be a spare of the moment decision. Bringing an animal into our lives should be well thought out, ensuring owners can dedicate the time, energy and money this pet will need over its lifetime. Ok – enough of a rant from me. I just feel so sad that little Lola is going through this awful procedure which should never have needed to happen if she’d had the right thing done by her in the first place. Sending prayers to Lola and all the other animals who just need love and kindness. P.S. I'll keep you all posted with how Lola goes.